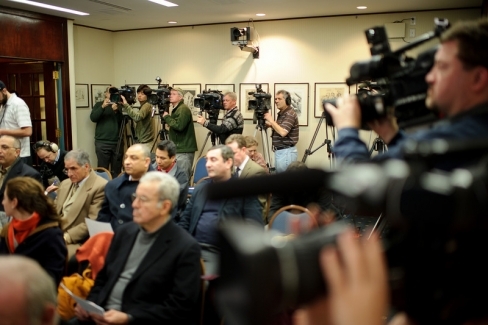 Reporters and photographers gather at a January 28 press conference held by The Coalition of Egyptian Organizations and the Mid Atlantic Chapter of the Alliance of Egyptian Americans at The National Press Club protesting U.S. support of the Mubarak government. 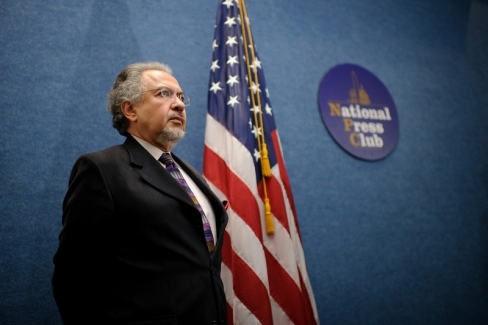 A speaker prepares before addressing a January 28 press conference held by The Coalition of Egyptian Organizations and the Mid Atlantic Chapter of the Alliance of Egyptian Americans at The National Press Club protesting U.S. support of the Mubarak government. 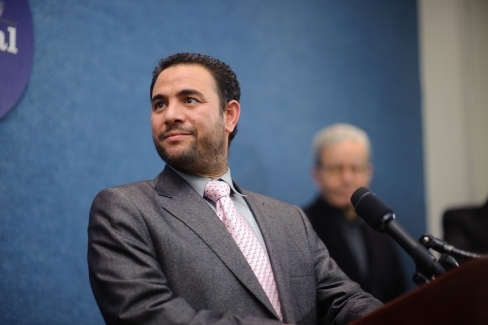 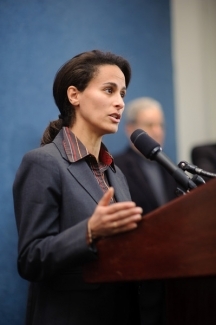 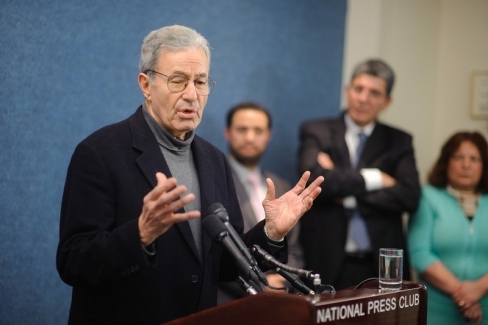 A speaker at a January 28 press conference held by The Coalition of Egyptian Organizations and the Mid Atlantic Chapter of the Alliance of Egyptian Americans at The National Press Club protesting U.S. support of the Mubarak government. 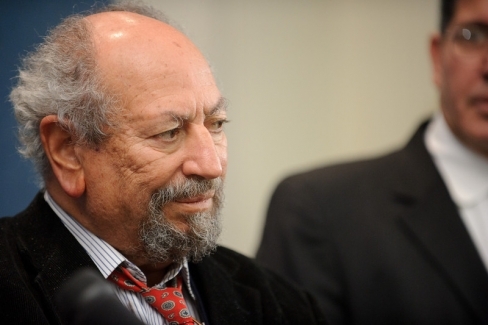 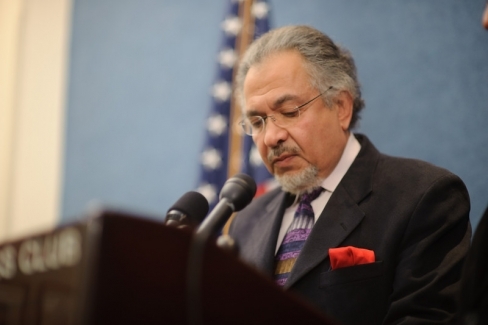 Dr. Saad Eddin Ibrahim, one of Egypt's leading human rights and democracy activists, spoke at a January 28 press conference held by The Coalition of Egyptian Organizations and the Mid Atlantic Chapter of the Alliance of Egyptian Americans at The National Press Club protesting U.S. support of the Mubarak government. 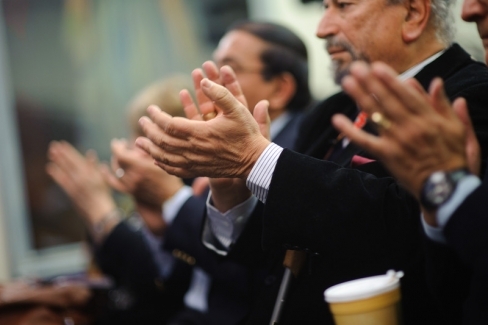 Attendees applaud at a January 28 press conference held by The Coalition of Egyptian Organizations and the Mid Atlantic Chapter of the Alliance of Egyptian Americans at The National Press Club protesting U.S. support of the Mubarak government. 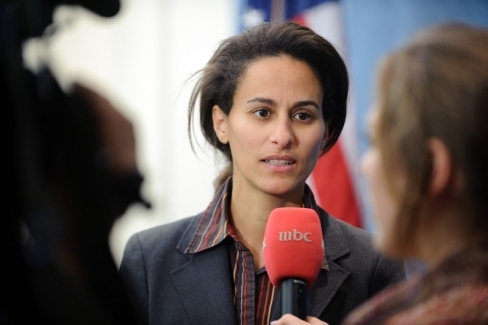 A speaker gives an interview following a January 28 press conference held by The Coalition of Egyptian Organizations and the Mid Atlantic Chapter of the Alliance of Egyptian Americans at The National Press Club protesting U.S. support of the Mubarak government.